After taking last week off due to the Battles show, we return to The Tube Bar for another Mind The Gap show. This week we have The Standards playing for the first time. Their sound has been called Brit-Pop but I think they have moved into much rockier territory recently, make sure you check them out. 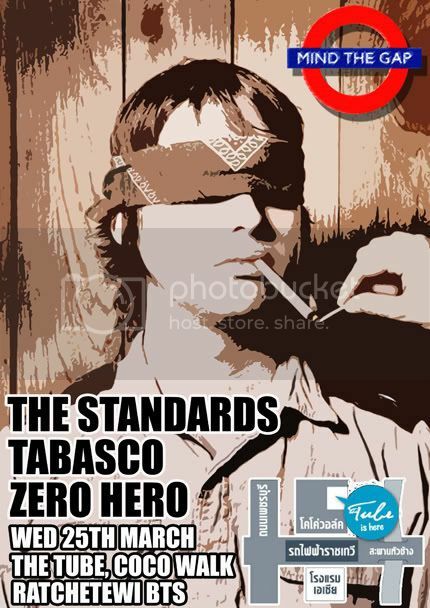 Tabasco are back after a brilliant performance at the Pattaya Music Festival and Zero Hero will be the opening act.